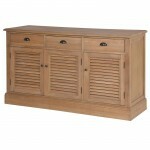 Be sure to find what you’re looking for in our wide range of Sideboards. 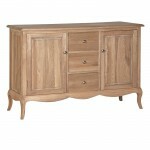 These sideboards add style and finesse to any space, modern, traditional or contemporary. Built to stand the test of time these pieces of furniture guarantee long lasting style! These gorgeous pieces of furniture have matching items, from dining chairs, armchairs, bookcases, mirrors, and even dining tables to make a whole room scream elegance. Whether it is solid oak furniture or chic white painted furniture we provide quality for a great price to suite any home.